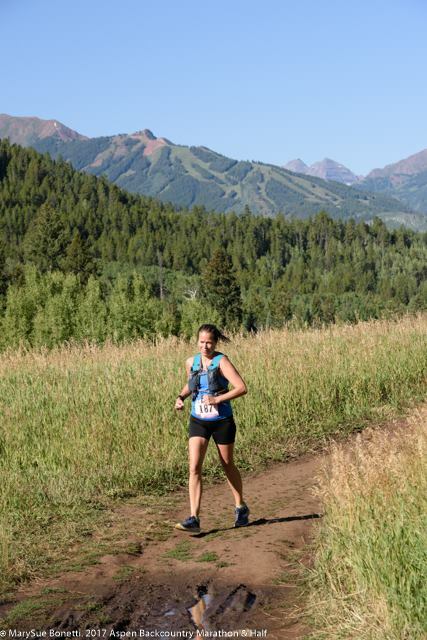 In March I signed up for the Aspen backcountry marathon in Colorado. I booked the cheapest place I could find in the playground of millionaires for August and began my usual trail training, seeking out hills wherever I could find them. 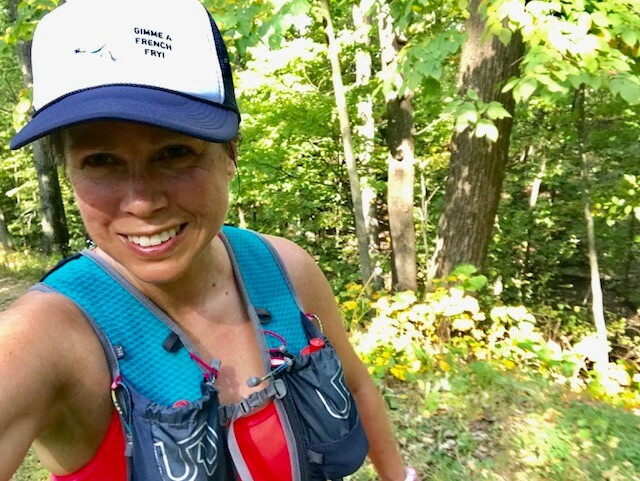 I spent a few weekends camping and running in Wisconsin’s Kettle Moraine in my favorite secret camping place (buy me an IPA and I might share) and tried to get as much elevation gain as I could over each weekend. I ran the Scuppernong trail loop over and over and over. I actually LIKE heat training so June and July are my favorite months to train and be outdoors. Additionally I did two more long runs per month at Swallow Cliffs in Palos. A typical 20 miler in Kettle Moraine or Swallow Cliffs only got me to about 1,000 feet of elevation gain. Not nearly enough to prepare for the 3,800 feet of gain needed for Aspen! And there is no way to prepare for the lack of oxygen. Still, I plugged away and combined my training with LSAC’s bodypump class (I love squats and lunges!) and hoped for the best. On August 12, I lined up at 7,800 feet with the Colorado runners and tried be be cool. We took off down a hill out of town and I was winded after only 5 minutes. I am in serious trouble, I thought. We began our first major climb and I tried to take my mind off my exploding lungs and heart with the beautiful scenery. I texted your race director Kimberley with my misery: “I am am dying! I am in hell!” I met a few people from Iowa and Connecticut and we hung together for awhile in solidarity. After awhile I fell into a rhythm and tried to not get depressed by the incredibly slow pace on my Garmin. The race took us over singletrack through groves of Aspen trees and clearings that revealed a gorgeous mountain range where we topped off at 10,000 feet. After what seemed like an entire day we began to descend. And what a rocky descent it was. I gingerly tip-toed over sharp rocks like a Grandma while the locals barreled past me. Every single runner I worked so hard to pass all day passed me on the descent. After nearly 7.5 hours, I finished. That’s three hours and 20 minutes slower than my PR. I was thilled to finish and yes, cannot wait to sign up again. I survived! I beat SOME people! And the scenery – magical. 4 weeks later I ran the North Face Endurance challenge 50 miler again. It was a hot humid day, even for me, and I was happy to win my age group despite another distance PW. The following week I joined some friends at Oktoberfest and got another mountain fix in by spending a week in the French alps hiking. After my races, climbing 2,000 feet in a day in France was nothing. And now I’m winding down the running and getting ready to fill volunteer positions for F3! If you have a favorite volunteer spot, let me know and I’ll set you up. We have a great time working the race while the crazy winter runners run. Get in touch with me at seagull@f3running.com. Goals for 2018 – more mountain running and get braver on descents. If anyone has ideas about how to become a better downhill runner, I’ll happily take them!